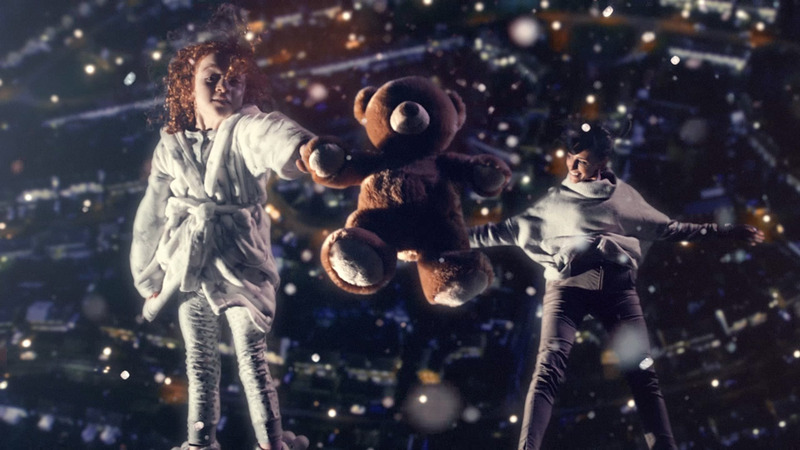 The Mill worked with Director Pedro Romhanyi from Outsider and Krow Communications to realise this advert for the winter sale at DFS. The spot takes the viewer inside a snow globe, but in amongst the falling snow are people who rush down to land in a variety of different sofas. Set to a cover of ‘Wouldn’t it be Lovely’ from My Fair Lady it shows people relaxing at home; be it watching a film with popcorn; cuddling a teddy bear or reading the newspaper – scenes that will be all too familiar to viewers over the Christmas period, and could only be improved upon by a brand new sofa. The Mill team worked to composite the falling figures against the backdrop of a winter night’s sky, the colour team ensured that all the interior scenes had a clear yet warm aesthetic that contrasted with the softer look of the shots in the sky.